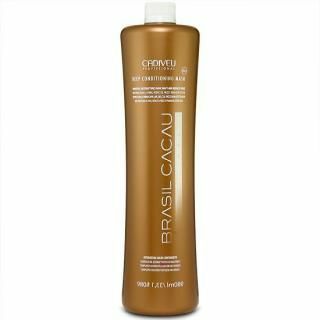 Product Description Cadiveu BRASIL CACAU Anti Frizz Conditioner pH 4.5 Daily Use - smoother hair and no frizz Cocoa, Panthenol and Keratin Regenerates inner and outer hair shaft, promoting a smoother and shinier look while reducing frizz. Directions: Apply to wet hair, massaging gently, leave on for minutes and rinse. CADIVEU symbolized research, innovation and development of efficient products and perfect harmony between natural and technological elements. Natural raw materials are from Amazon Forest.